Automated shipping methods could impact the supply chain on multiple fronts, including land, air and sea. While driverless cars have been a large part of the national discussion recently, unmanned ships still seem to be a possibility, although they bring up numerous questions and challenges. With the especially busy holiday shipping season upon us, businesses have to think ahead to the possible future. What methods will leave them best ready to compete in a complex global trading environment? Automation and data analytics may predict some of the way forward, but that doesn't mean there aren't concerns already appearing. 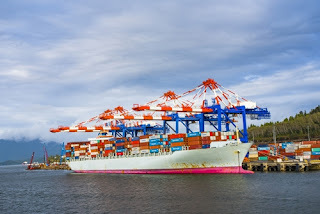 Below are some of the key concerns that come with the possibility of self-driven freight ships. A fear not just for automated cargo ships but any vessels is whether the goods will be damaged in transit. The BBC recently highlighted this in an article about the drive for efficiency in the modern supply chain. For perishable goods, like bananas, proper storage can be a matter of refrigeration and proper packing. With heavier, more complex products, like cars, managing space with a storage crate can require careful planning, the source said. "Managing space with a storage crate can require careful planning." The BBC spoke to WMG Innovation Manager Pierro Filipin, who said that shipping a single container could cost around £5,000 (or USD $6,220.63). He also referenced the older ways originally used to plan for shipments. "Previously it was done by basically taking a photo of the car, cutting the shape, scaling it in Photoshop so it was in the right proportion, then manually trying to fit the various combinations by hand," Filipin said. Although some may be ready for the fully automated ship system, there is a necessary transition period the industry will likely have to pass through first. The Maritime Executive pointed out multiple reasons why integrating smart technology into fleet vessels needs to be gradual, not instant. Some of these reasons include the inherent differences between shipping and other forms of transportation. There's a culture in shipping that depends upon a human crew for maintenance and other activities, which automation will need to account for to make a full change. The need for continuous connection to the cloud and other tech advances could prove to be a problem. As with data-enhanced trucks, the ships of the future may have to upgrade to account for the new demands of the "always-on" logistics system. For supply managers, the question could become exactly how to collect and use all of the data necessary for transformation. The technologies may exist, but the right interfaces could still be in the works to bring all functions together in one manageable console. The question then becomes what to do in the meantime. Finally, the shipping industry will likely face weather challenges that other vehicles don't. A Rolls-Royce and AAWA report on the "next steps" of autonomous ships mentioned the difficult elements of the world around it: the ocean can present both moving and stationery obstacles that an autonomous ship would need to prepare for, the source said. Guiding ships takes an international presence and a smart use of resources. For this, businesses have the chance to look for global sourcing options that increase efficiency and help save costs. While there are challenges it does seem to be an inevitability.